The equinox (from the Latin for "equal night") is a special time when the length of the day is equal to the length of the night. We use it to mark the beginning of spring and fall. The relation of the tilt of the earth towards or away from the sun changes as the earth orbits the sun. 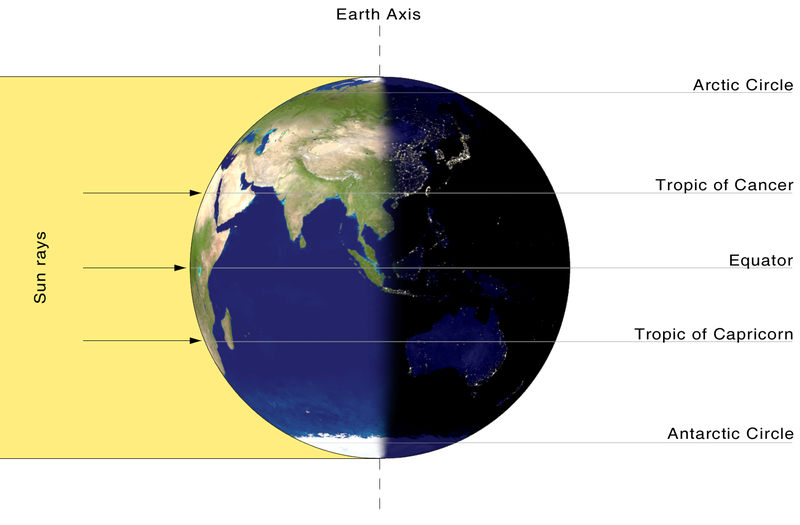 The equinox is the point where the earth's tilt is at a right-angle to the sun. This special alignment happens only twice a year, once in the spring and once in the fall, usually around or on March 20th and September 22nd. On the equator, the sun passes through the middle of the sky, or zenith, so almost no shadow is cast at noontime. At the poles, the sun is at the horizon the entire day.